Jessica entered our Student Business Plan Competition whilst studying for her BSC Hons in Sports Therapy during 2009 at London Met. Her initial idea was to set up a unique dance company providing extra-curricular dance clubs in schools, focusing on enhancing Dance Education and assisting schools with the delivery of the Dance National Curriculum. Jessica impressed the Student Enterprise judges with her dedication and enthusiasm for her business. 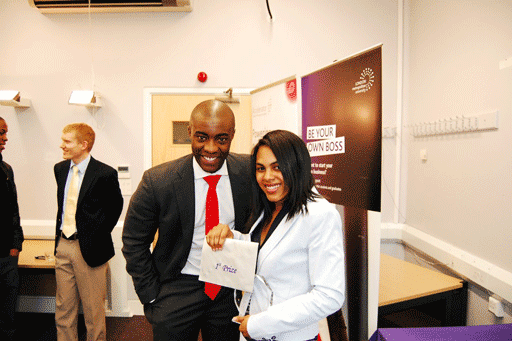 She won first prize and received £2500 cash along with office space and support provided by Accelerator, London Met’s Business Incubator. Since then, Jessica has been able to grow her business considerably and is now working with over 16 schools in London and provides regular weekend workshops attended by over 100 children. Dancing After School has also become an official provider of activities for the Sainsbury’s Active Kids Scheme and she has written and produced a teachers training course, as well as an instructional DVD for teachers in the London Borough of Tower Hamlets. Along her journey, Jess has received many awards for Dancing After School including: Precious Magazine Young Entrepreneur of the Year, Silver Junior Sports Coach of the Year, Find Your Talent Funding and has received funding from the London Borough of Tower Hamlets. Jess’s students were also featured in the recent Disney Channel advert with Britain’s Got Talent winners Diversity and have also performed at the O2 arena becoming Dance for Life Champions. Having access to such a knowledgeable team through the Student Enterprise Programme has helped greatly in my first year of trading. The ongoing training has helped build my business knowledge and the events have aided my networking skills and helped to create business opportunities for the company. I have a fantastic business mentor who has helped me formulate time management strategies and helped me with managing my staff. Jessica’s aims for the future are to make Dancing After School a nationwide organisation and to develop more courses for use in schools throughout the UK and to produce a range of instructional publications, as well as branching out into producing dancewear for children. Dancing After School – Introduction from WDF Productions on Vimeo.